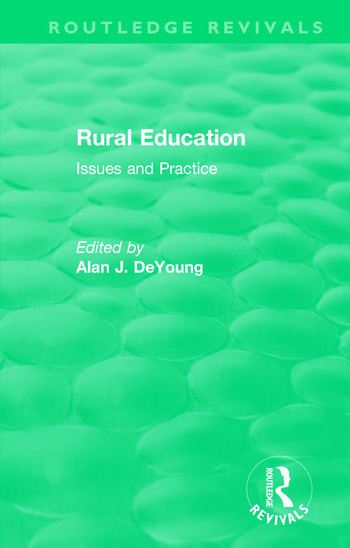 Originally published in 1991, essays discuss and analyse rural schooling in its historical, social, and political contexts as well as its educational mission. Collections covering rural education in the United States are relatively rare, particularly texts that focus on available research literature in context, and many existing texts are written by educators outside of the University. This book covers historical and social factors, rural education in the field, and the future of American Schooling. The chapters comprise not only an airing of issues, concerns, and findings, but also a guide to scholarship in the areas covered. Included is a resource guide to information specific to rural education and rural special education.